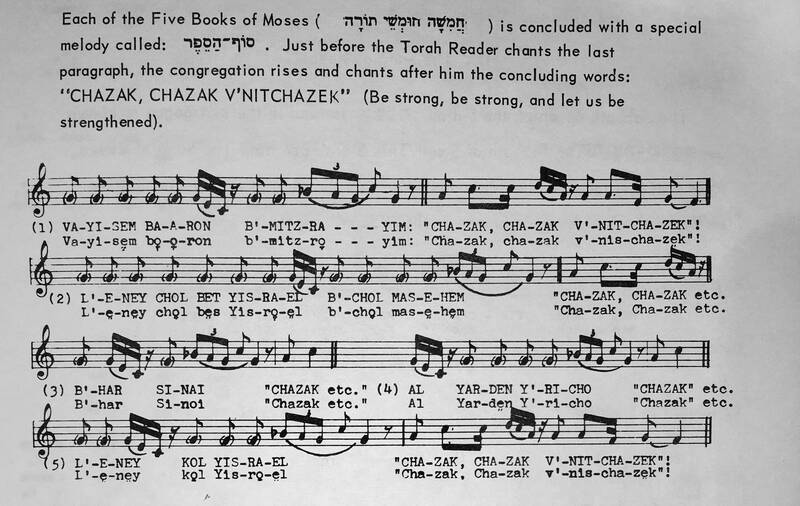 We read a special coda used at the end of each of the five books of the Torah that leads to the traditional exclamation of "Chazak chazak V'Nitchazek!" - can anyone give me the basis for this or sources about how coda varies form the usual end form? the trop look the same so it does not seem to be in them. Pinchas Spiro suggests this melody. 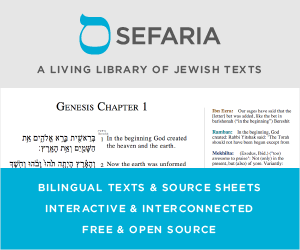 It’s similar to the melody used for the opening verses of hakafot on Simchat Torah. I’ve also seen communities where the Shirat haYam major cadence is used for the coda (it’s pretty universally used on the Chazak Chazak itself). I am a Cantor in the Boston area who was ordained at the School of Jewish Music at Hebrew College where Professor Joshua Jacobson taught us: Each of the five books of the Torah end with a special melody/ "invitational cadence"on the final Merchah, Tip'cha, Siluk. (Performance practice is to wait to chant this until the congregation rises.) THEN, the Cantor or reader begins the congregational chanting of, "Chazak, Chazak, V'Nitchazeik!". If the Maftir is chanted again, the regular motifs/Trope are used for the end of the Maftir aliyah. As for a SOURCE, you may want to email the author! The "Chazak, Chazak" phrase is in Shirat Hayam Major. Not the answer you're looking for? Browse other questions tagged torah-reading trop-cantillation . During Torah reading service, is a Cohen allowed to forgo a Levi Aliyah?